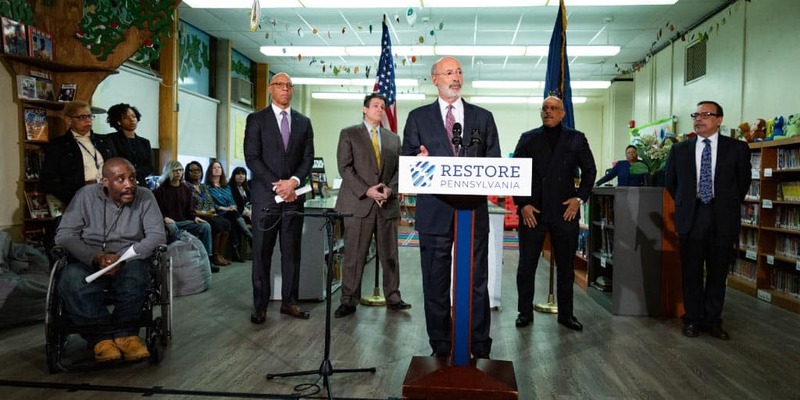 Governor Tom Wolf announced the approval of funding through the Commonwealth Financing Authority (CFA) for projects that will remove contamination of harmful perfluoroalkyl and polyfluoroalkyl substances (PFAS) from the Warminster/Horsham and Warrington areas in Bucks County. Governor Tom Wolf today toured the borough of North East in Erie County to see first-hand how Baker Creek has caused decades of flooding, deterioration and frustration for borough residents and businesses, and to discuss how his Restore Pennsylvania plan will help solve this 130-year-old flood problem. 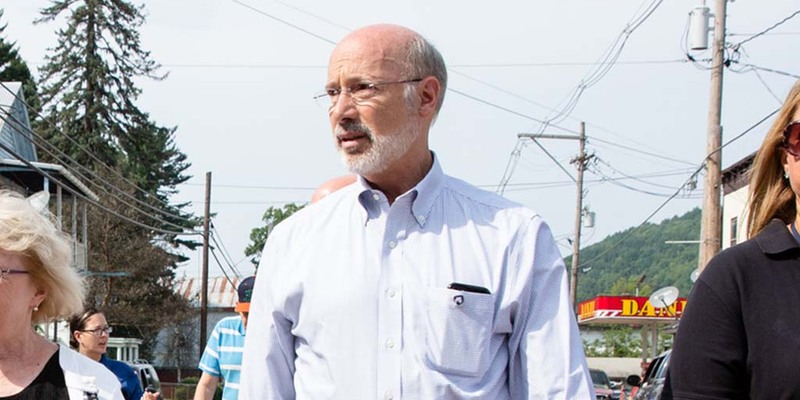 Governor Tom Wolf joined state Senator John Yudichak and other officials in Lansford, Carbon Country today to outline Restore Pennsylvania, the most aggressive infrastructure plan in generations. The governor’s proposal will help communities in Carbon Country to address blight, expand broadband access, mitigate the effects of localized flooding, and expand green infrastructure. 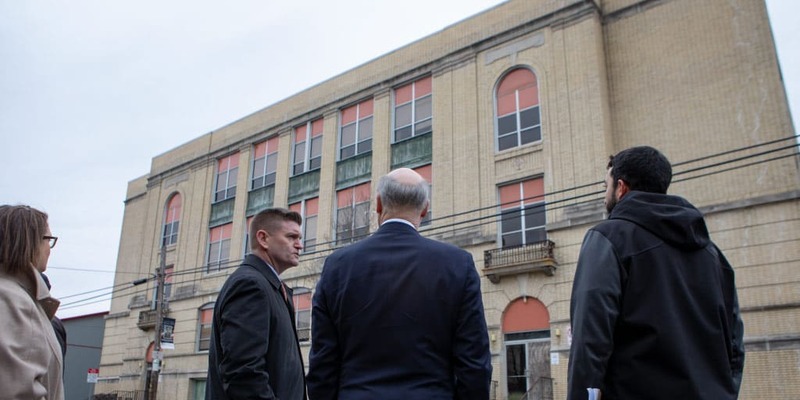 Governor Tom Wolf toured the John H. Taggart School in Philadelphia today to see progress on removing contaminants which can cause serious health problems. 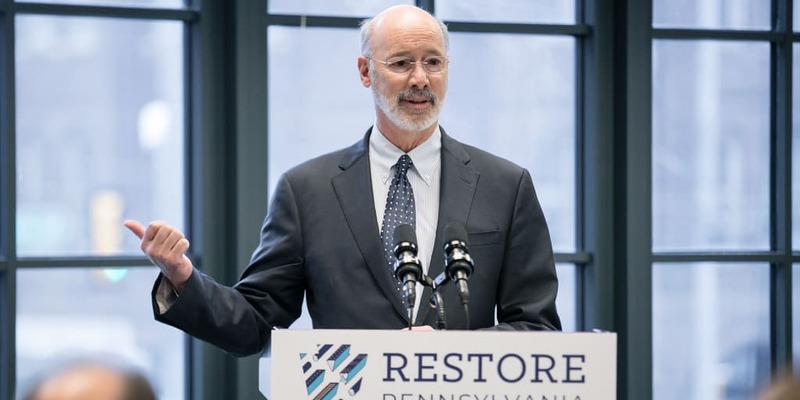 The governor also outlined how Restore Pennsylvania, the most aggressive infrastructure proposal in generations, would help Pennsylvania schools to address lead and other contaminants. 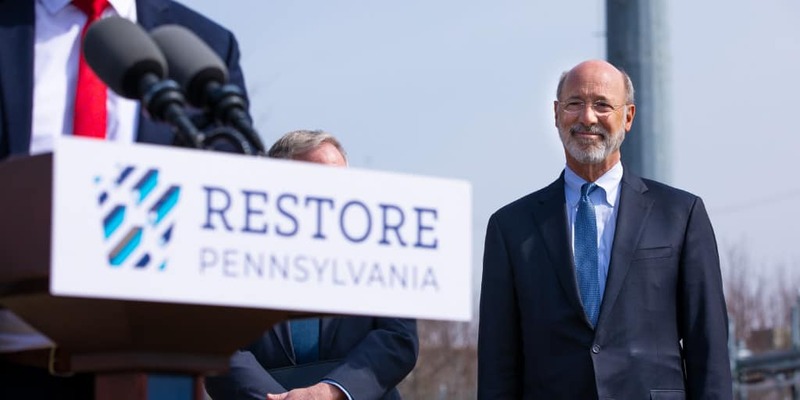 Today, Governor Tom Wolf outlined the components of the most aggressive infrastructure plan in generations, Restore Pennsylvania. The governor’s plan will help communities in York County address blight, expand broadband access, mitigate the effects of localized flooding, and expand green infrastructure, restoring communities after long neglect.